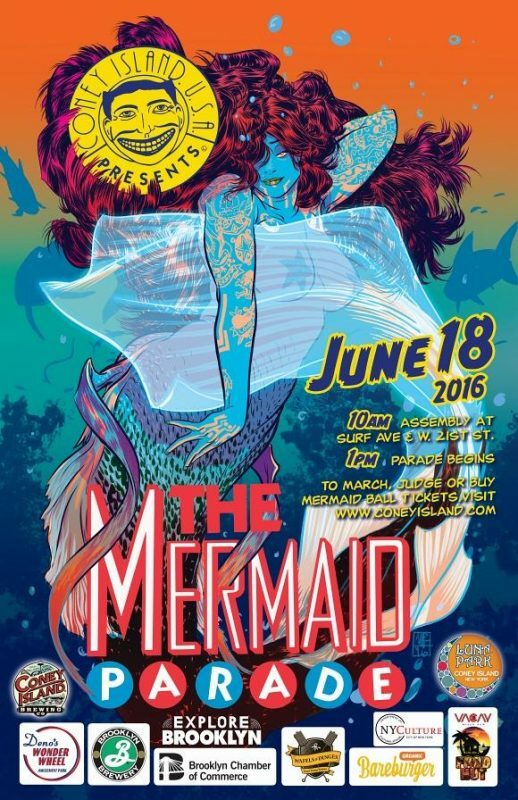 That tradition was brought back to life 34 years ago and the Mermaid Parade was born. So it was with great delight and anticipation that I was going to cover the parade again this year. Our correspondents couldn’t make it but my wife and I decided we would do it alone. Fighting for a parking spot and finally finding one in a police only reserved area was great. Having New York Police Press ID and NYP plates on our vehicles helps in this regard. 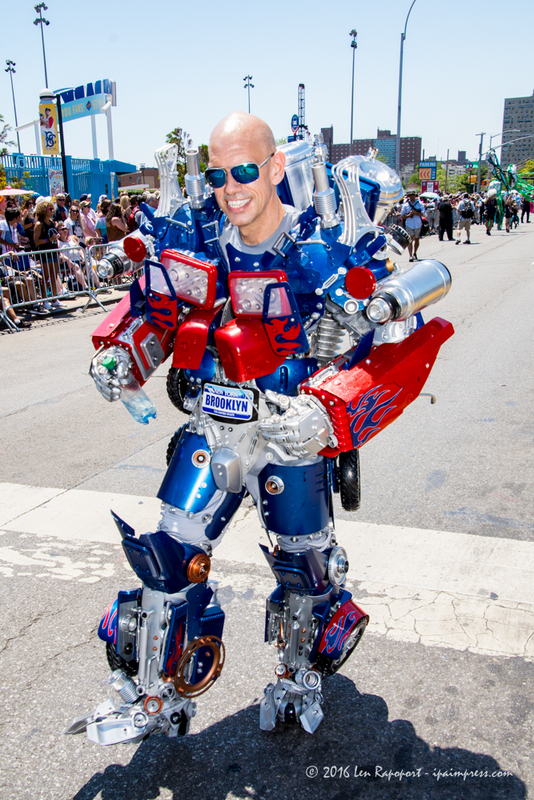 I can cross police and fire lines which gives me the opportunity to get right on the street with other authorized press to cover the parades. We got there early but we were concerned since we hit a lot of traffic from New Jersey to Brooklyn, but arrived in time to shoot the start of the parade. This year I decided to set up near the reviewing stand. This way the participants would stop and perform for the judges. 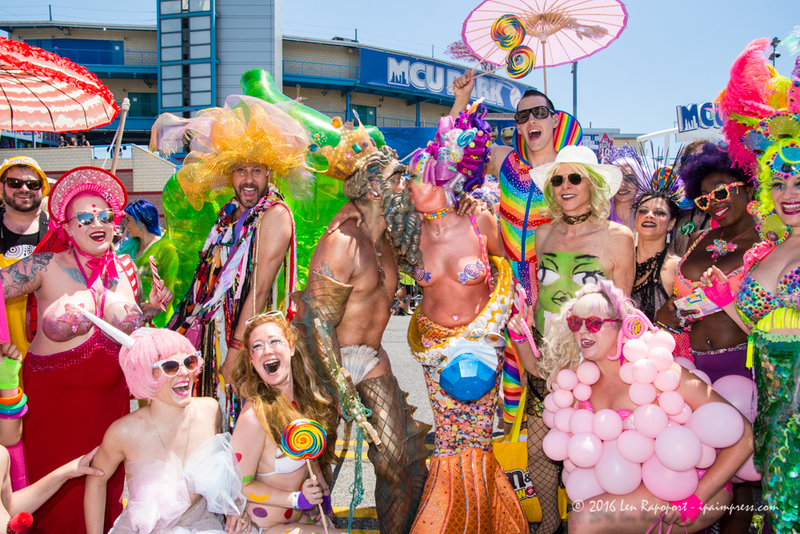 In our video you will once again see many bare breasted mermaid’s and lots of children marching, dancing and just having a lot of fun as they marched down Surf Avenue, past Nathan’s Famous and back onto the boardwalk for a return to the original staging area. It was truly a challenge this year. Last year we had some early rain, which stopped later in the day and it was cool for that time of the year. This year it was a hot, I mean really hot and not easy to see through the cameras LCD screen and the viewfinder I have what I was shooting in the video mode. Once again I must say, this was the most fun of all, with the exception of the Macy’s Thanksgiving Day Parade. You can visit the Coney Island website for more background information on this parade, it will help you plan to attend the parade next year. 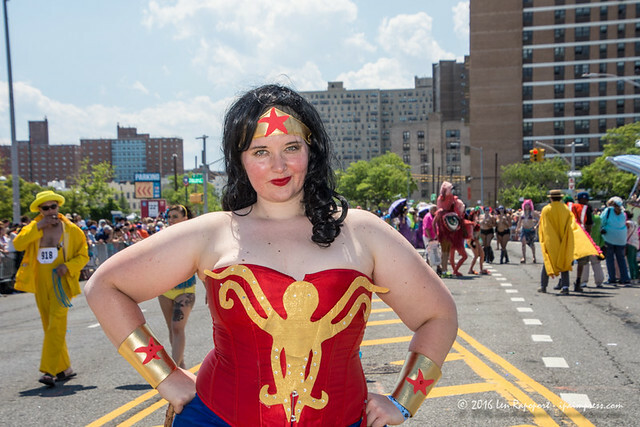 Coney Island was crowded and traffic on the adjoining areas was a mess especially after the parade. I thought we would kill some time and go down memory lane and visit the street I lived on as a child, which of course was totally different with all new homes. It is actually a bitter sweet memory me to revisit my birthplace and not recognize much of what I remembered as a child. That said, it did take hours to finally get out of Coney Island. Surf Avenue the parade route was closed so the Sanitation Department could clean the streets and Coney is quite small and traffic on all streets was at a standstill. With all the challenges getting there and getting home, I would do it next year and the year after, it is just too much fun and if you haven’t gone to the Coney Island Mermaid Parade put it on your calendar and if you see me there, be sure to say hello. You can see some of our photos here but to see all of them visit our Flickr site and see them all in High Resolution. Click image to see complete photo gallery or click this link.